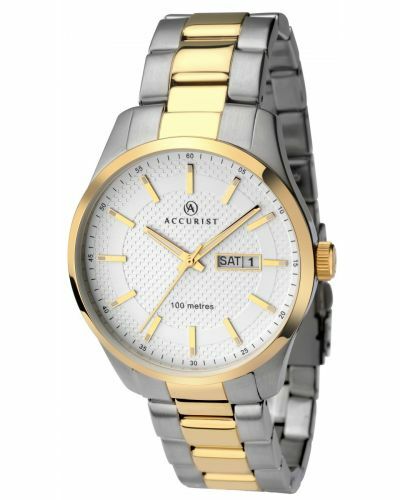 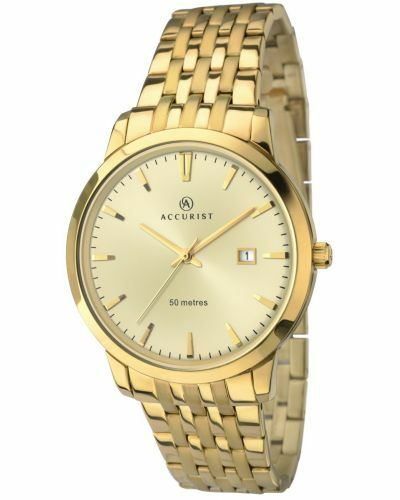 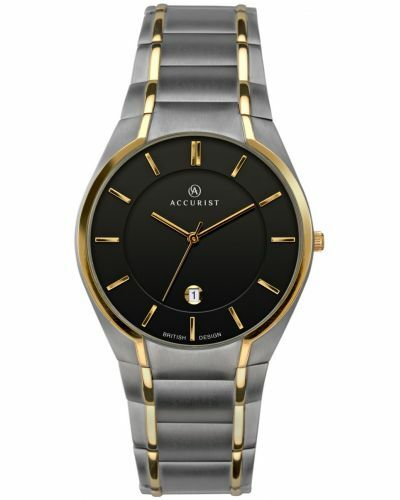 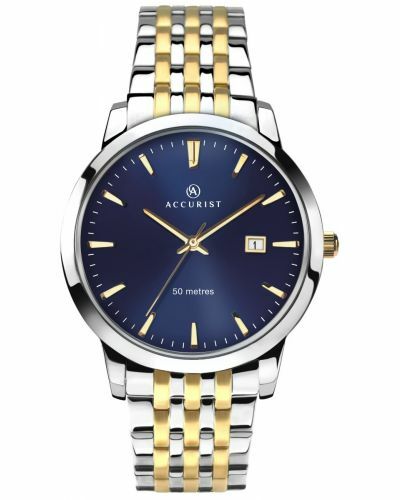 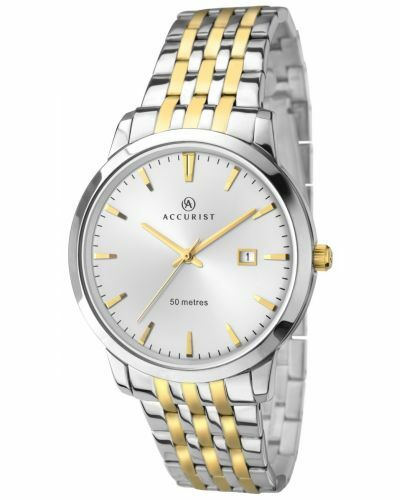 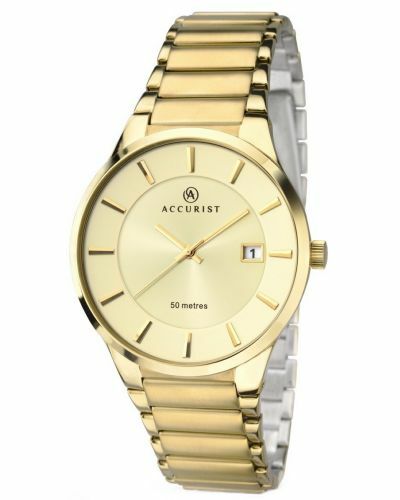 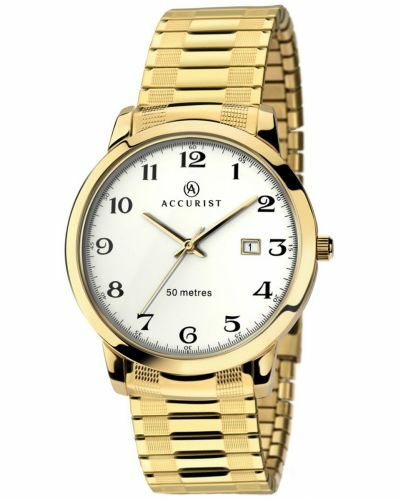 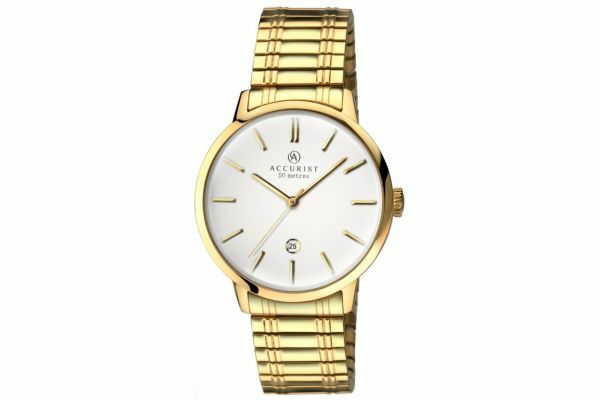 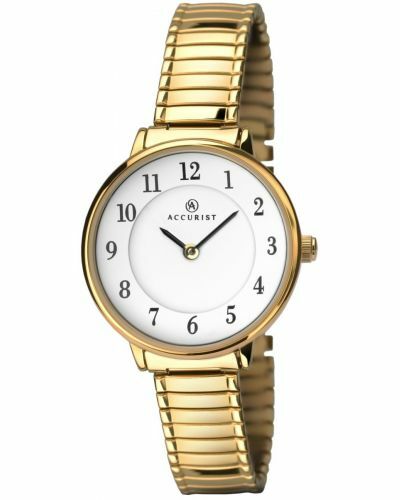 Men's Accurist Classic gold plated expander watch with a round polished case. 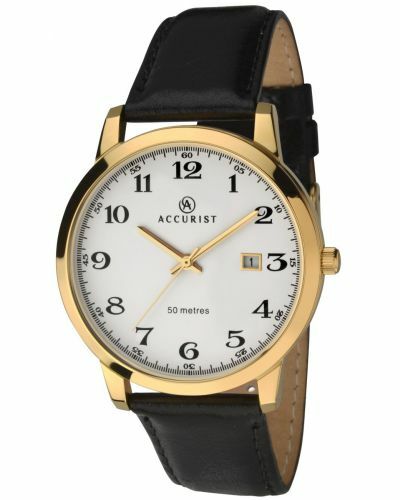 Has a minimalist white dial with shiny gold batons and hands and a small round date display window. 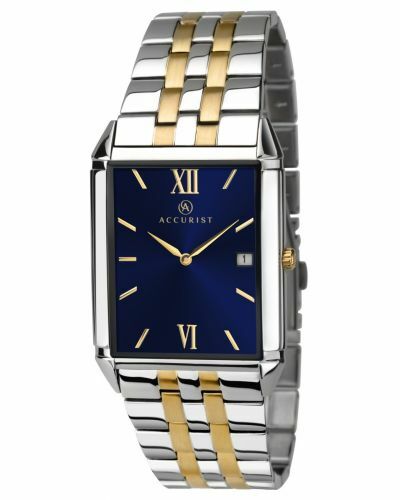 Features an all polished over the wrist gold plated expander bracelet. 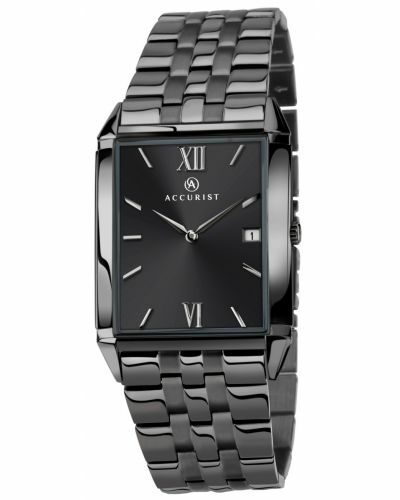 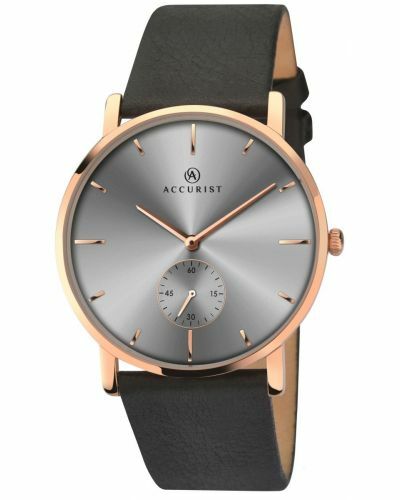 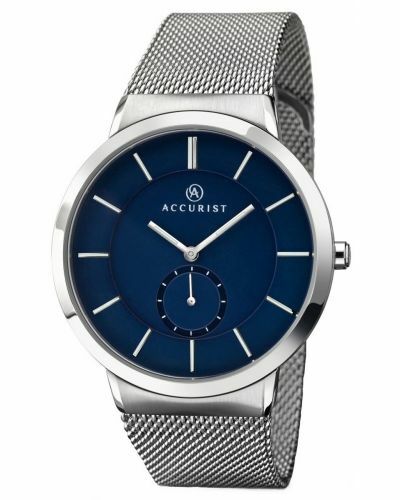 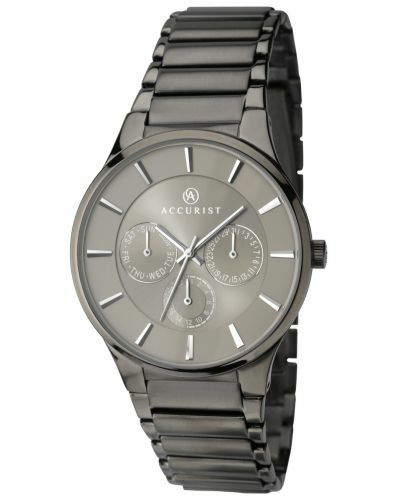 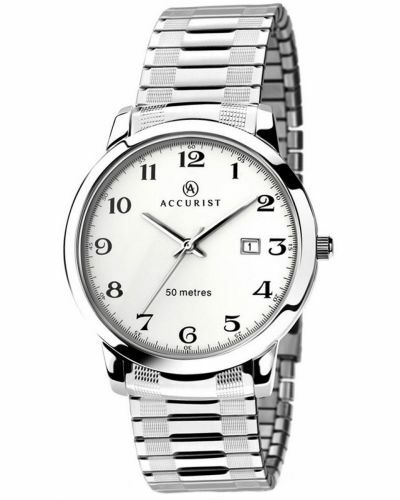 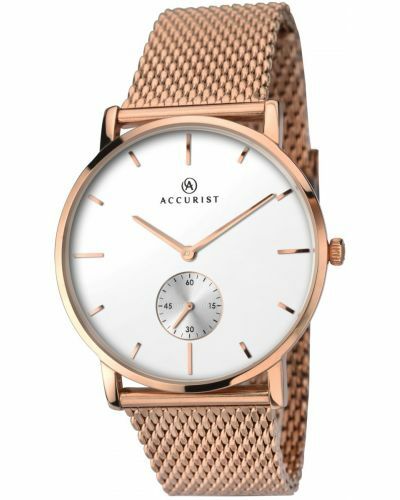 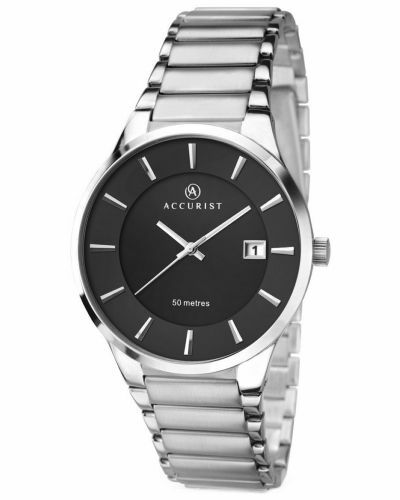 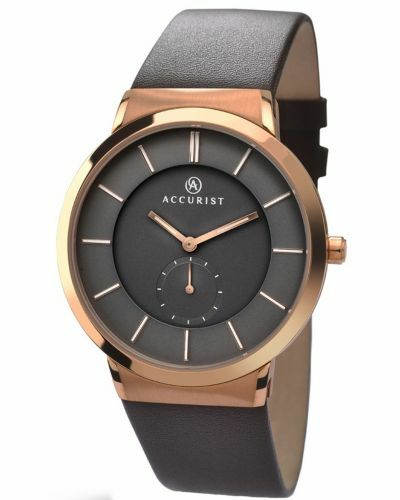 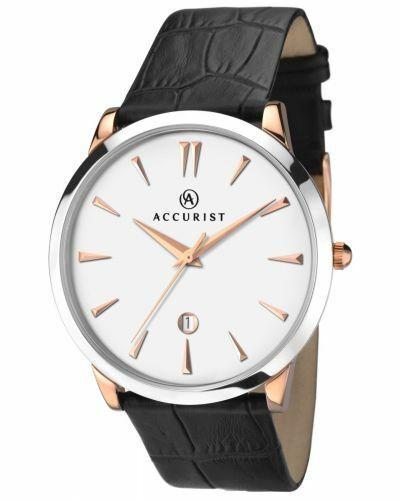 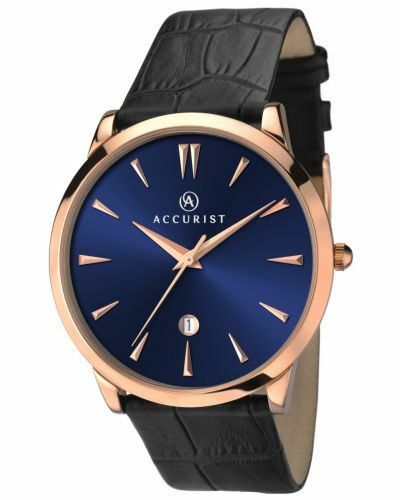 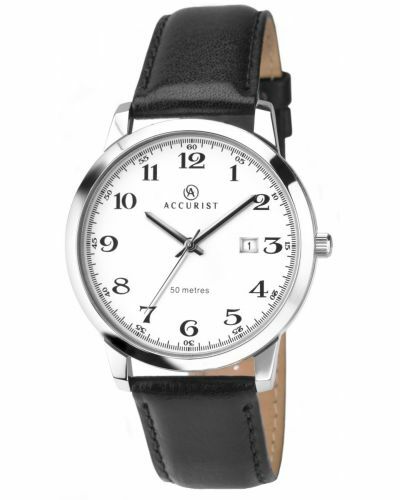 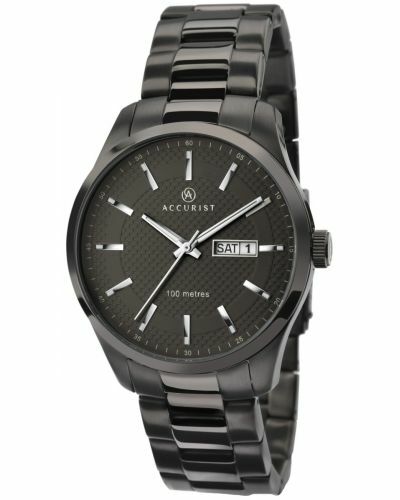 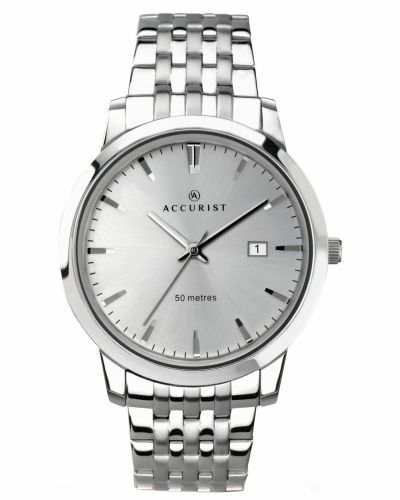 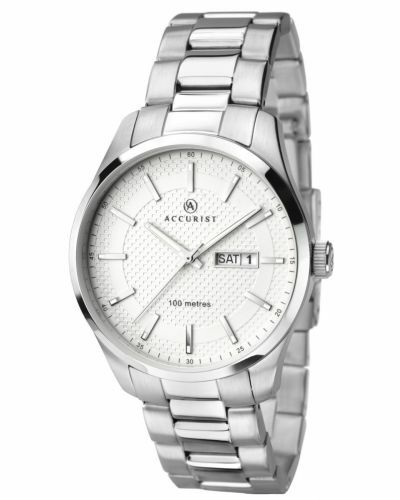 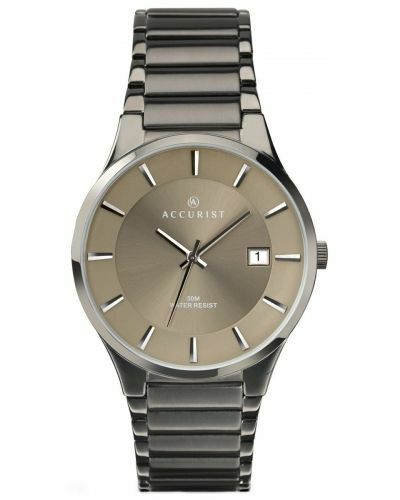 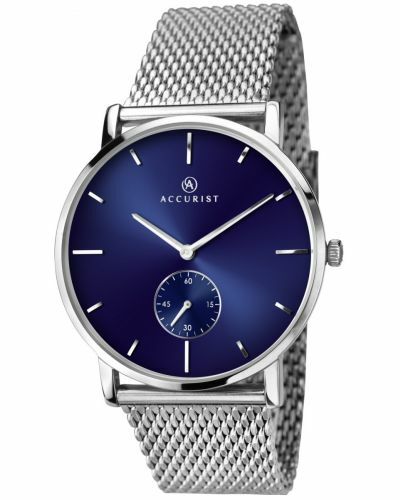 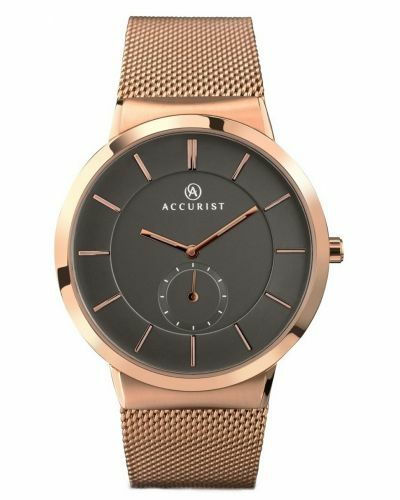 Powered by a quartz movement and comes with the Accurist 2 year guarantee.